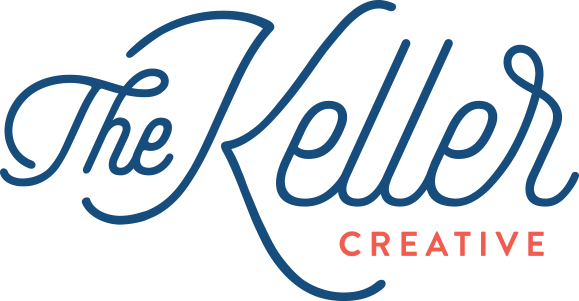 Partners in life and work, we combined forces in 2017 to form The Keller Creative, a full-service, multi-disciplined design studio. We pride ourselves in giving you a collaborative one-on-one service. You will always deal directly with us because we think you should have access to the people who are actually doing the work. Our specialties are in web, graphic design, photography, and visual display. We exist in order create a platform for YOU to shine, in whatever capacity that may be. Dustin is one of those unique Creatives that is just as comfortable writing code as he is with conceptual branding. With roots in print design, Dustin jumped into everything digital early in his career. This path has led to to work for high profile agencies, start-ups, in-house creative studios, and even an old school letterpress shop. His diverse and well-rounded background allows him to take on almost any creative assignment because he can approach the design from multiple perspectives. Dustin has had the privilege of designing for well known brands such as Starbucks, Walmart, Molson Coors, Canadian Tire, and MGM. Although he’s happy working with the big guys, his passion lies in helping small and medium-sized companies grow and reach their maximum potential. Sara is a Maker using her hands, mind and heart (in that order). Doing window and in-store display really lends itself to becoming a bit of a jack-of-all-trades; she has created in acrylic, wax, paper, wire, watercolour, clay, foam, cardboard, plaster, textile, wood, string, and anything else she can get her hands on. She is in her element when creating large-scale installations from manipulating common materials.